* Unified states are AK, HI, ID, MD, MS,MT, NM, PA, RI, TN, VA, WA, WV, WY. **Coverage for claims based on incidents that occurred while an active Individual member. 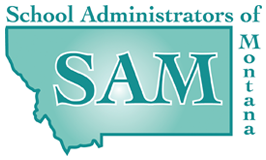 Individual-Open to all individuals engaged in the practice or supervision of middle level and/or high school administration. Membership cannot be transferred and is not refundable. Retired-Open to previous active members who have retired and no longer hold an administrative position. Membership is nontransferable.